When it comes to dream vacation destinations, The Bahamas often ranks right at the top of many people's lists. 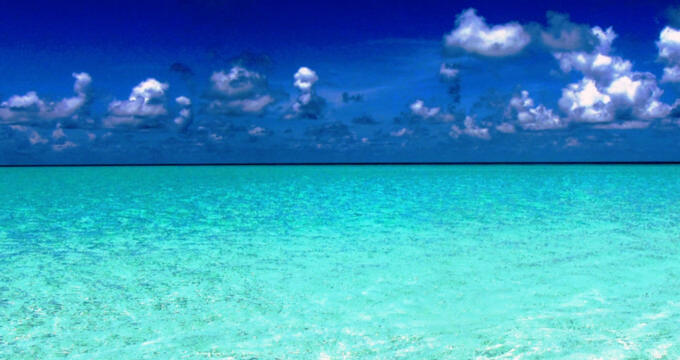 Featuring hundreds of islands, along with more than 2,000 rocks and cays spread out across more than 100,000 square miles of warm, wonderful water, the archipelago that forms The Bahamas is the closest thing we have to heaven on Earth. From Freeport to the Berry Islands to Andros, Rum Cay, New Providence, and beyond, there are so many paradisiacal places to fall in love with all around The Bahamas islands, and one of the best places to start your Bahaman adventure is in the country's capital city of Nassau. Named after William III, King of England and Prince of Orange-Nassau, this city is home to almost three quarters of the entire population of The Bahamas, making it by far the liveliest location across the entire archipelago and one of the best places for backpackers and travelers of all kinds to enjoy authentic Bahaman experiences. Nassau is the number one spot to engage with the local culture, taste the region's delicious cuisine, check out some of the capital's stores and eateries, and relax on the kind of beaches that almost seem too beautiful to be true. Nassau is a haven for beach-goers and tourists of all kinds. With non-stop wonderful weather and so much to see, the capital of The Bahamas is quite simply a must-visit location. In terms of beauty and activity, the beaches of Nassau can rival any other location on Earth, offering stunning views and picture-perfect settings to help you make lifelong memories with friends, family, and loved ones. If you’re planning a vacation to The Bahamas, read on to learn all about Nassau’s best beaches. Consistently ranked and classified as one of the finest and prettiest beaches anywhere on Earth, Cabbage Beach is a must-visit location for any Nassau traveler. Lots of the city's biggest and best resorts can be found near this beach, which offers shimmering white sands and stunning turquoise waters, just right for all kinds of activities. Lots of water sports can be enjoyed at this Nassau beach too, with several vendors and rental booths operating along the beachfront. The beach itself runs for nearly two miles in length and features a nice mixture of shady spots and wide open spaces, ideal for sunbathers, swimmers, thrill-seekers, and every other type of beach-goer. Lined with lively resorts and exclusive hotels, Cable Beach is widely regarded as one of the top beaches in all of Nassau for both tourists and locals. The local resorts have really added a lot to the area, including all kinds of unique attractions like casinos, water parks, boutiques, bars, restaurants, and even a golf course. The sands here, like most of the other beaches around Nassau, are very soft and powdery, while the waters are gentle and superb for swimming. Due to the popularity of this location, there's a really vibrant atmosphere at Cable Beach and it's a perfect spot to sit back with a juicy cocktail and admire the views. Yes, this beach was named after the 'Jaws' series of shark-attack films, but no, you won't actually have to worry about running into any angry sharks around here. The beach earned its name due to the fact that one of the movies was partly filmed here, but it's a very safe and secluded spot in the Clifton Heritage Park. The waters are really gentle and transparent here, and they're quite shallow too, providing just the right conditions for young children to paddle and splash around with their parents. There are a lot of nice shady spots along the beach to cool off, but there aren't any major amenities here, so you'll need to bring your own food and beach equipment. Down on the southern end of the island, Coral Harbor Beach is one of the best Nassau beaches for people in need of a little calm and tranquility. Access to this beach is normally reserved for guests of the local Coral Harbor Resort, but non-guests can also gain access by simply buying some food or a cocktail from the resort's bar. The exclusivity of this beach makes it much quieter than some of the other coastal spots around Nassau, and the sands here are astonishingly soft and smooth. Tall palm trees line the edge of the beach, offering a good amount of shade on sunny days, and the warm waters are too inviting to ignore. You'll definitely want to at least get your feet wet while strolling along this paradisiacal beach, or you could sign up for one of the most popular activities at Coral Harbor Beach: horseback riding. As the name suggests, Love Beach is a great spot for couples. Whether you're a pair of newly-weds on a Caribbean honeymoon or a long-term couple looking for a romantic getaway, Love Beach is a breathtaking, must-visit location. It's actually located some distance away from the heart of Nassau, meaning that many of the tourists never come out this far. This results in Love Beach being a calm, relaxing setting for seafront strolls or lazy sunbathing sessions. It's also one of the best snorkeling beaches in Nassau, with a huge coral reef located just a short distance away from the shore. So if you're an experienced swimmer looking to check out some of the local marine life, head on down to Love Beach.